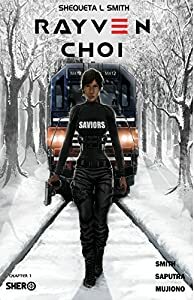 Rayven Choi tells the story of a young woman who, as a child, witnesses a hitman murder her parents on a military commuter train. She is the sole survivor on the train and is quietly sent to Seoul, Korea where she is adopted by her father's best friend. Rayven spends 20 years in Korea before discovering a clue that her father left behind that could lead her to finding the killer. 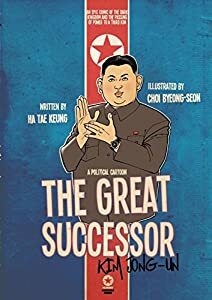 When Dr. Parsimonious Creed, head of the World Leadership Council, is murdered, his home ransacked, and important files stolen, billionaire Herr Bigly Rump graciously volunteers to take over the world in his absence. Contenders for the position are either murdered or jailed, leaving only Herr Rump in the running until Dr. Creed’s assistant, a young investigator named Mary Morgan, enters the race to stop him. Even as the bodies of her allies begin to pile up, Mary devises a plan to oust the Rump. But, little does she know how eager her enemies are to be rid of him as well. Could she be making matters worse? 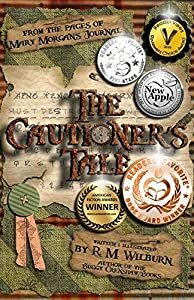 The Cautioner’s Tale is the first book in the Mary Morgan’s Journal series. 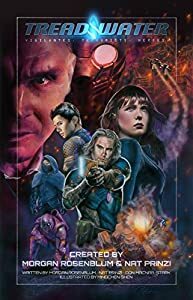 Treadwater Vol 2: After successfully extracting a stolen nuclear warhead from German dictator, General Heinz Kirklau, Treadwater discovers they have a stowaway, Kirklau's second-in-command, Wolfgang Kulikov. Wolfgang agrees to divulge the location of a second warhead in exchange for the successful retrieval of his nephew Kostya. The General's son. Having fulfilled their side of the bargain, Treadwater looks to collect on the information they were promised. Meanwhile, the Children of Chaos enlist the help of a notorious black-market arms dealer to acquire the remaining components for their biological weapon. Everything comes to a head when Kirklau unveils his master plan to invade decaying neighboring countries. 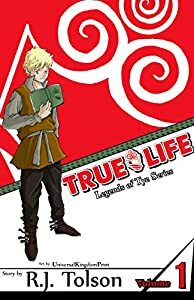 With the political climate at a boiling point, Treadwater must deal with Kirklau once and for all. 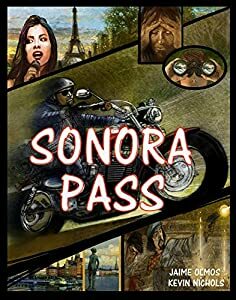 Jake Falcón's troubled life comes to a horrific end and his spirit is cast into a nightmarish world of darkness where he must fight the demons that rule this cold forbidding abyss to save his soul and the soul of other spirits. From the dawn of time demons have ruled the darkness corralling and devouring the souls of wondering hapless spirits that fall prey to their ravenous appetite. Jake has been chosen by the light to be a Spirit Hunter. His mission is to find and protect the spirits in the darkness before they are victimized and lead them into the light to deliver the souls they carry within. In denial, Jake is a reluctant warrior who won't accept his death and straddles the world of the living and the dead. Among the living Jake has to remain vigilant for there are traitors who will obtain boundless treasures from the darkness if they betray him. 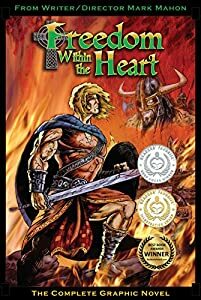 In the world of the dead Jake struggles to accept his given mission and at first has an aversion to fighting the demons and their cohorts and protect the souls of the ill-fated spirits. 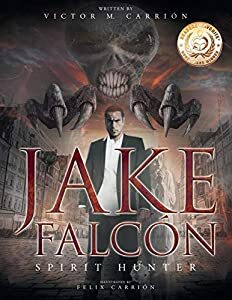 Jake learns, from other Spirit Hunters, that if the demons destroy enough souls that the light will be weakened and finally extinguished. This will give the demons a path to their ultimate goal; the conquest of the world of mortals. "First to Mars" is a 2014 Pinnacle Book Award Winning, full color graphic novel in the "Raegan and RJ in Space" series. "Raegan and RJ in Space" is the award winning story of the first Christians who left Earth to colonize the stars. 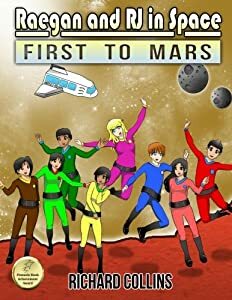 In this exciting adventure, Raegan and RJ and their friends become the first humans to explore Mars! Are you ready? If you love Jesus and space adventure, blast off with Raegan and RJ in "First to Mars!" Cover and illustrations by Ms. Jennifer Lusong. "Celebration at Alpha Centauri" is a full color graphic novel in the "Raegan and RJ in Space" series. "Raegan and RJ in Space" is the award winning story of the first Christians who left Earth to colonize the stars. In this exciting adventure, 5 families journey to Alpha Centauri to colonize it and celebrate God's protection. Are you ready? 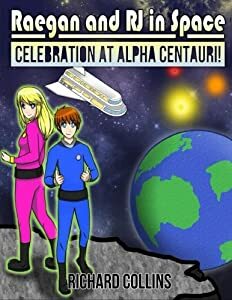 If you love Jesus and space adventure, blast off with Raegan and RJ in "Celebration at Alpha Centauri!" Cover art and illustrations by Ms. Jennifer Lusong.